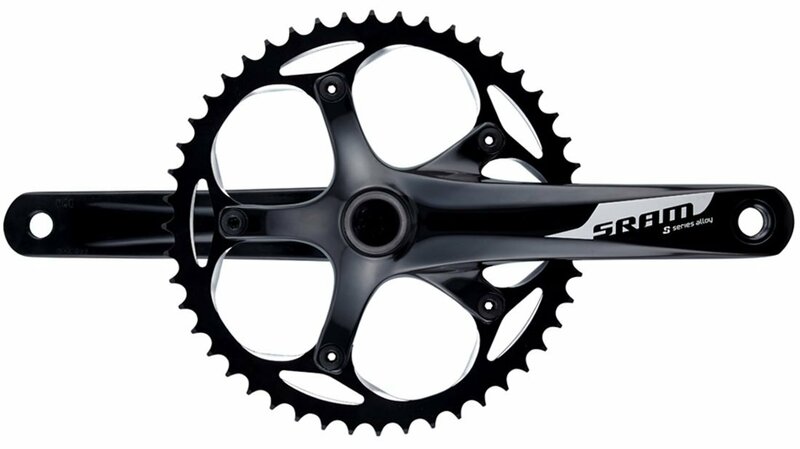 Spruce up your fixie or singlespeed road bike by upgrading to the SRAM S300 crankset. The forged aluminum crankarms and hollow GXP spindle create a crankset that is Lightweight, stiff and affordable. It is a great alternative to its more expensive, older sibling, the SRAM Omnium. Included is a dependable and smooth GXP threaded bottom bracket. Includes English thread GXP bottom bracket. The best part about this is that it's a two piece and not a three piece. the BB that comes as a bundle is a welcome extra. This crank is super lightweight. I have already put 500km on it and its smooth sailing. Can a 3/32" chain work ok on this crank?